You are now the executive of the company, so you have a personalized office at the last floor, and the first thing that you want to do is to decorate it! Start by choosing the correct executive office furniture, based on your style preferences, but also on the specific of your company. Specialists recommend wooden furniture, which is resistant for long term, and which looks great. When you buy wooden furniture, two things must be considered: how it was built, and how nice the finishes are. The finish determines the ambient created by the furniture, while the design ensures functionality for a long term. Wax is used for taking care of quality wood furniture. It is not your job to take care of those aspects, as you have janitors for that, but quality products are required for quality desks. Talk with the janitor not to use too much wax. If you buy the desk for your home office, it is more important to know those secrets about taking care of wood. Use quality wax, and follow the specifications of the product. Wood is only an idea for an executive office. The truth is that there are many other styles that can be adopted. First, you need to decide if you want customized furniture, or if you want to go for the common office furniture lines. 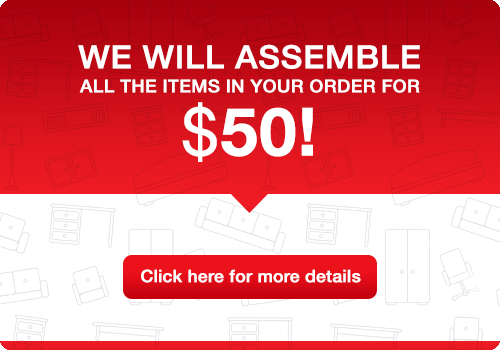 In case you want to save some money, you can consider the line furniture, but this usually means that it will be the same as the one in so many other offices. Arranging the work environment is important. This space should be inspiring, allowing you to concentrate. With a comfortable space, you can work better, and you will not be tired after one hour of sitting in the chair. The colors must also be chosen with care, so they would not be annoying for the eyes. If you want to work as organized as possible, you will have to start from the central part of any office: the desk. As you are an executive, you probably want a special desk, not as the common ones that you used to have as a simple employee. A classic desk should have as many drawers as possible. However, make sure that it is not too big, as it will occupy too much space. The desk must not be small either, because now you have many things to put on it. Some directors prefer the large, imposing desks that would impress the visitors. If you want to work correctly, you need a comfortable chair that can be adjusted. The chair must offer optimal support for the neck, back and hands, allowing you to have a correct and relaxing position. A library is also great for books, even if you don’t read those. The effect created by those is something special, highly appreciated by your senior business partners. The working space must be flooded with natural light, which must enter the room from your lateral side. If the light falls from behind, the sunlight will affect your capacity to use the monitor. If the desk faces the window, the view might steal your attention from work. If you need to work a lot during the evening, a small light on the desk will be comforting, allowing you to save electricity also. Choose an adjustable one, which you can put anywhere on the table. Some desks come with a special support for the lamp. Those look great, and they are also useful. Once the people realized the importance of wood, the office furniture manufacturers started to use this material practically for any style of decorating. On the other hand, cutting trees is not such an environmental friendly activity, and this is why it must be done responsibly. 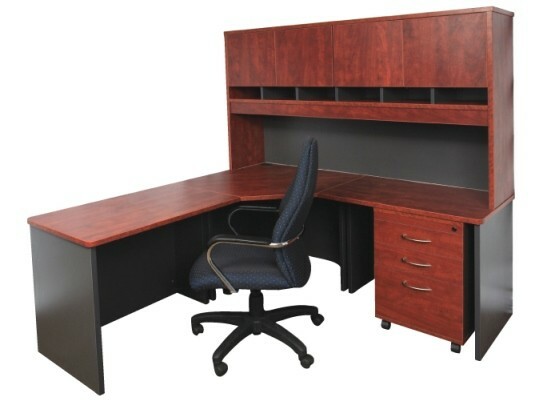 A company that manufactures wooden office furniture must have documents for the used wood. Moreover, by using modern technologies, the quantity of wood used can be reduced. When it is possible, the joints must be made of wood also. The ecologic methods to process wood recommend the reduction of metallic pieces used. As for the paints, those must be natural, completely ecological, and made without solvents. The teka wood appeared on the worldwide “stage” of furniture a few years ago, and the manufacturers of luxury furniture quickly adopted it. It contains special oils that act as an impermeable barrier, resisting to moisture and extensive usage. The latest technologies allow latex to be used to cover the wooden materials, making sure that those will protect the nails and joints from rust and corrosion. Even so, the teka wood is considered ecologic. Teka is a radical change in the method used for luxury furniture manufacturing. With this wood, the managers of corporations and large companies would be able to ensure their employees the best working environment. A luxury furniture provider must always consider the environment. The entire manufacturing process has to respect the nature. This is why the contemporary decorating style in office furniture started to look like the one from the beginning of the century. The main idea of eco furniture is to use wood and glass, eliminating materials such as steel and plastic, which are obtained by polluting the environment. This new line contains a system that allows you to combine as many elements to minimize usage of nails, screws, glue and other harmful materials for the environment. For finishing, only vegetable oil is used. The petrol types must not be used. When we are talking about massive wood, it is important to protect it with the best substances available. This innovative process is designed to bring health in our offices, respecting the nature at the same time. Of course, the quality of manufacturing must be perfect, so we must warn you that there are not so many manufacturers that can create really qualitative desks made of teka. By buying such furniture for your office, you will bring the perfume and the power of the nature right in the middle of your working environment.